It’s all perfect in imagination land for RIM as we heard from company chief executive Thorsten Heins, but in reality for the BlackBerry maker the bad news come one after the other. 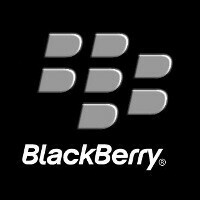 First it was, the announcement that the first BlackBerry 10 devices will be delayed and won’t appear in 2012, and now RIM is under pressure from carriers to lower the prices of its BlackBerry services. And to realize just how bad news this is, we should say that they make up a third of the total revenue for the Canadian company. BlackBerry services bring an annual revenue of around $4.1 billion every year. Carriers such as AT&T and Verizon aren’t happy with the sums they have to pay to use ‘Berry services, plus BlackBerry is the only smartphone maker that charges the carriers for using its service. “There’s definitely negotiations going on right now to reduce” the fees, according to Sameet Kanade, technology analyst at Northern Securities. The very same analyst expects those fees that carriers pay will be slashed by 17% this year and additional 18% next year, so RIM ends up getting only $2.8 billion in fiscal 2014. At the same time, RIM will do its best to retain the literally life-saving revenue from services. “RIM intends to continue generating a revenue stream from the services we offer,” RIM spokesman Nick Manning said, but denied to comment on the carrier price reductions. Let's see here, the 2 biggest carriers want RIM to cut there fees mean while they want to charge there customers more. What's wrong with this picture?